1. Buy super on sale paint and canvases at a craft store. 3. 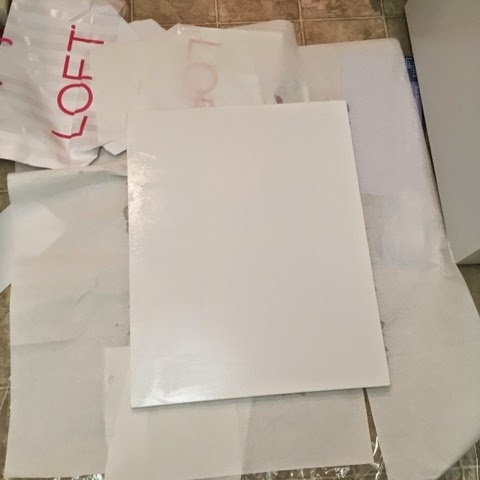 I wanted my canvas to be a crisper white than the creamy white it came as. I mixed white paint with water and painted the entire canvas. Please excuse the mess. I didn't have an old sheet or towel to lay down so I used torn up bags and paper towel. 4. After letting the canvas dry, I practiced my letters on some paper first. Once I felt comfortable with the size of the letters and the strokes, I mixed black paint and water and painted on the actual canvas. Since the black paint was mixed with water, it had a very lead pencil like effect. I honestly really like it like that and I probably should have kept it like that. 5. My next steps were retracing the letters with black paint. 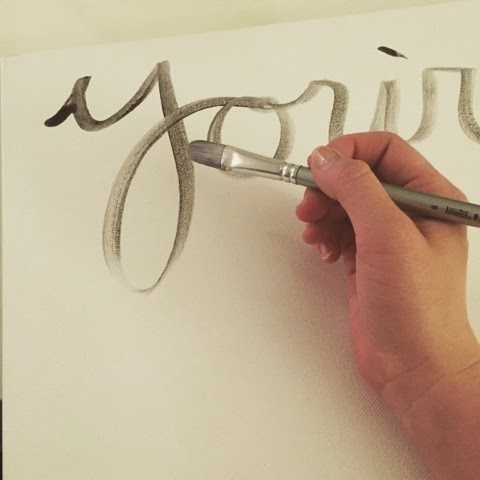 LEARNINGS: If you're going to go back and retrace your letters, use a smaller brush than the one you used originally so you can paint it in the same twists and turns you took. I ended up losing some of the character of my strokes because my brush was so big that I couldn't "paint within the lines." Overall, I'm really happy with it! And once I'm tired of it, I can just paint it white and do something else. 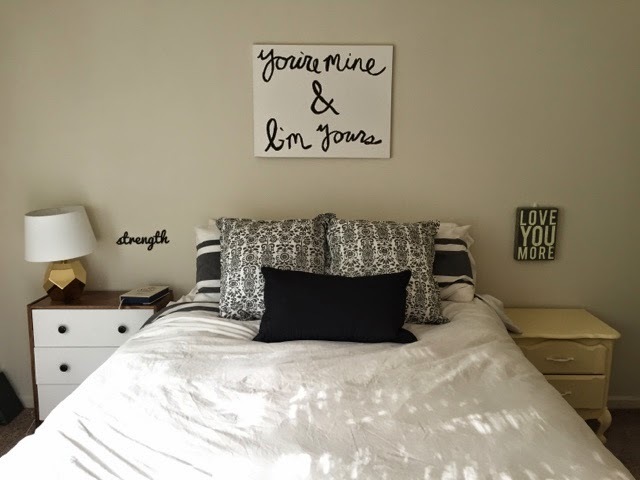 A cheap and easy way to personalize your space.